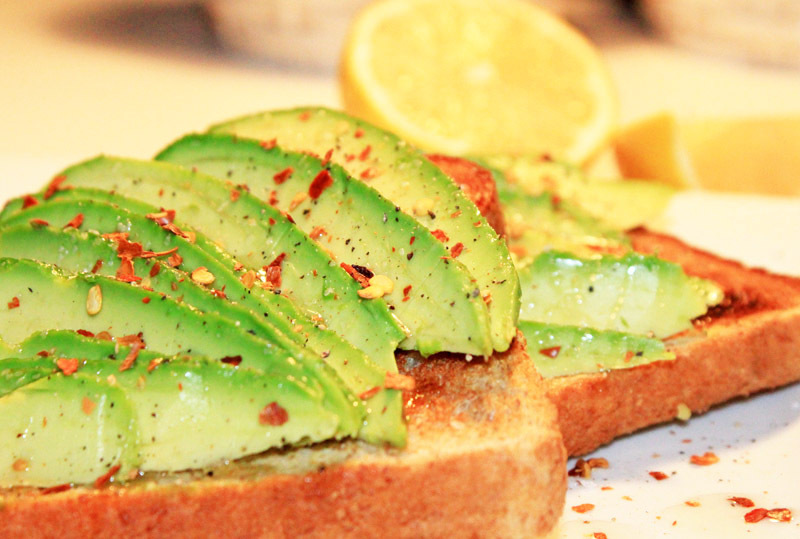 Avocado toast is one of the simplest, most satisfying meals ever! Whether it's breakfast, lunch, dinner or an anytime snack. It is oh-so-delicious and oh-so-addictive! 1/2 to 1 avocado, pitted, peeled, and sliced very thin. Fan the avocado slices on top of the toast and drizzle with a little extra-virgin olive oil. Season with a light sprinkling of sea salt, some freshly ground black pepper, and a shake or two of red pepper flakes, depending on how spicy you like it. Finish it off with a squeeze of fresh lemon juice! That's it! Now button up your sleeves... and enjoy!